With the weather being super lovely lately I've been daydreaming about sand covered feet, the smell of sunscreen, refreshing morning swims, summer freckles and long lazy days on the beach. 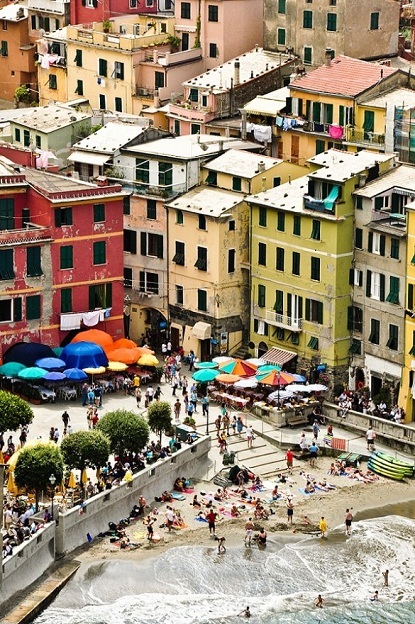 Those photos of the ever beautiful Italian spot, Cinque Terre make me want to hop on a plane right about now. Le sigh! P.S: A few more photographs of this awesome spot and this dreamy hideaway. P.P.S: More travel fun here. we're in MAJOR savings mode - but i would LOVE to be planning a REAL vacation - just small day trips for us a little 2-3 day get'aways - but a good 10 day vacation at a resort or different country would be DREAMY!!! Lovely spot for a summer vacation. I'm already in the middle of mine, trying to squeeze every minute of it. Out of all my childhood memories in the Summer sun, I distincly recall the smell of sunscreen. how dreamy! I'm dying to book a vacation!!! 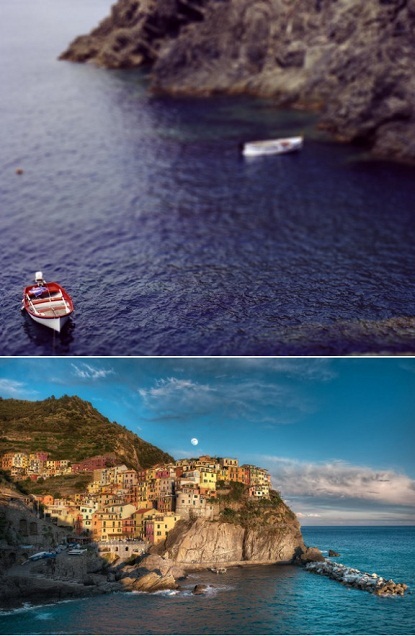 Italy is always a good choice! Oh my goodness. this is killing me. i wish i were there right now. Can I go to there?...I want to go to there, pleeeaseeee!!! Not to brag or anything, but I'm going there this summer! Just for like a day and half, but still! Love the wikilink!!! Looks dreamy. We're thinking of a babymoon... maybe here! Awww..Natasha and Eliza, you girls are SO sweet! How fun, Shelby!!! And Particia, yup - sunscreen smell is one of my favourite summer "things":) Btw: Have a great time on your vacation! Kristina, Queensland or Western Australia sounds wonderful! Giggle, Inés:) I so want to go there too and Christianna, you are one lucky girl!!! my goodness. This place is gorgeous. My thoughts exactly. I daydream beach all day everyday. It's where I desire to live. We go to Sandestin, FL USA, at least 4 times a year. Sand is sugary white, & water is emerald in color. It's so tranquil. My word is tran-quality. The place you showed is inviting.